This is reality. Making your business successful often interferes with your personal life and vice versa. A study published by the American Sociological Review, states that 70% of American workers have issues balancing and finding a way to make their work and life work for them. I can’t believe the number of times that my family time has been interrupted by a work “emergency” or my work schedule has been disturbed by a sick child, parent needing assistance, or the “Can you do this for me?” call from my husband. You all know what I mean. There are the unexpected situations that you can’t control. What you can do, however, is control other aspects of your life and business so that these types of interactions do not have a huge impact. Deliberate choices are made as to what will make them happy, how to spend time, energy, family life, etc. The key is to set priorities as to what each individual values as important in their life. People who manage to balance their business life with their personal life make conscientious decisions on what is important to them, not what others tell them is important. This is often challenging. In this technical age that we live in, it is difficult to “turn off” technology (phones, email etc.) It is always around us, and makes us available. I have a rule. When I reach the end of my work day, all business calls go to voicemail. Everyone knows my working hours so this keeps my family time free from business. Make each day manageable. Don’t overload yourself with unrealistic expectations. This only increases stress and makes it difficult to leave work at the job and not overlap into your free time. Five minutes spent getting a cup of coffee or taking a short walk renews a person. People who are good at balancing their work with life have a great network of people that they have developed. A strong work network can assist with brainstorming or even share some of the workload when needed. 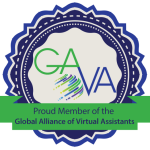 A personal network offers support, encouragement and much needed camaraderie that makes your life balanced. If you find that all of this is too overwhelming to do all at once, take one step at a time. Each piece that you accomplish will make it easier to move on to the next step. As you move through the above tips, you will find that your stress lessens and your outlook will change. How do I know? I’ve done these things myself. While I don’t always feel balance between work and life, most of the time I find myself enjoying both more. 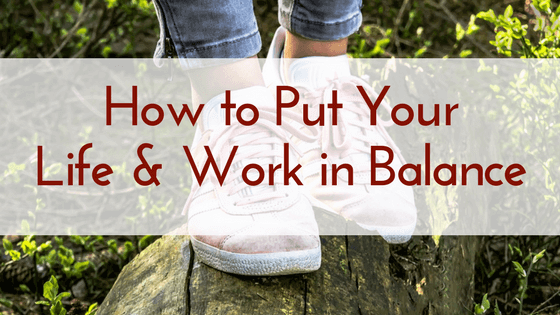 Is it possible to balance your work life and your real life? Absolutely! You just need to make the decision to take things step-by-step.